The great thing about Spain is that there are so many wonderful places to visit, it is hard to imagine running out of things to see. Segovia was one place that we had wanted to visit for some time and so we managed to do this in Autumn 2011. 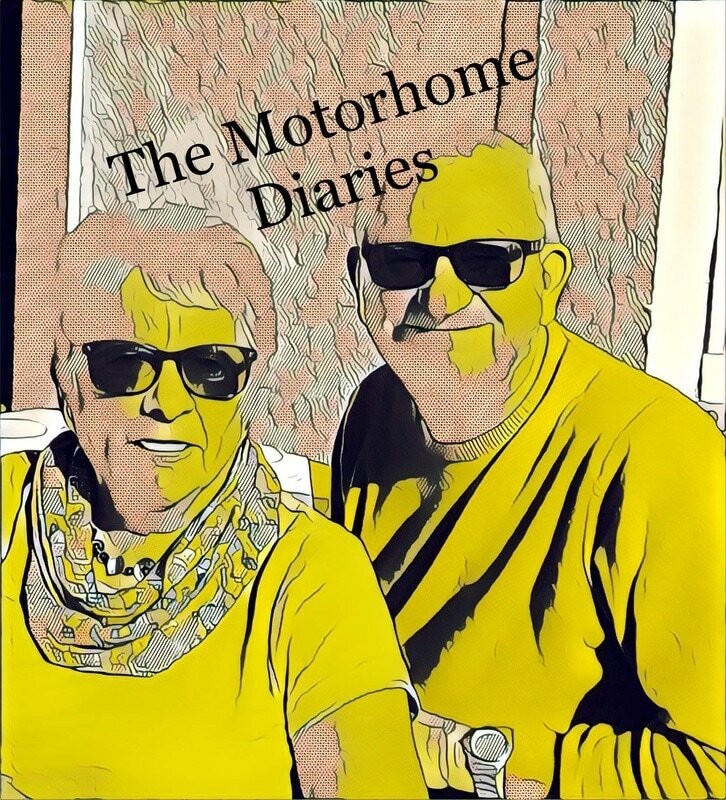 The weather had been so marvellous on our trip through France that by the time we got to Segovia the one campsite near to town had closed for the winter and so we stayed at Camping Riaza about 90 kms north of Madrid. 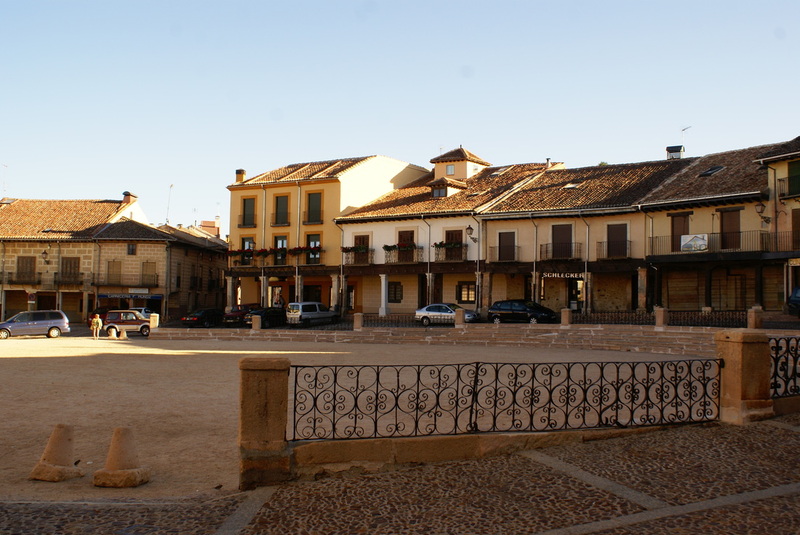 The small town of Riaza (only a 15 min walk from the campsit ) has an interesting village green, it is sand and round and apparently it becomes a bullring for a few days in September, they even run the bulls through the narrow village streeets. It struck us that running the bulls in Pamplona was child's play compared to this, the streets were so narrow. 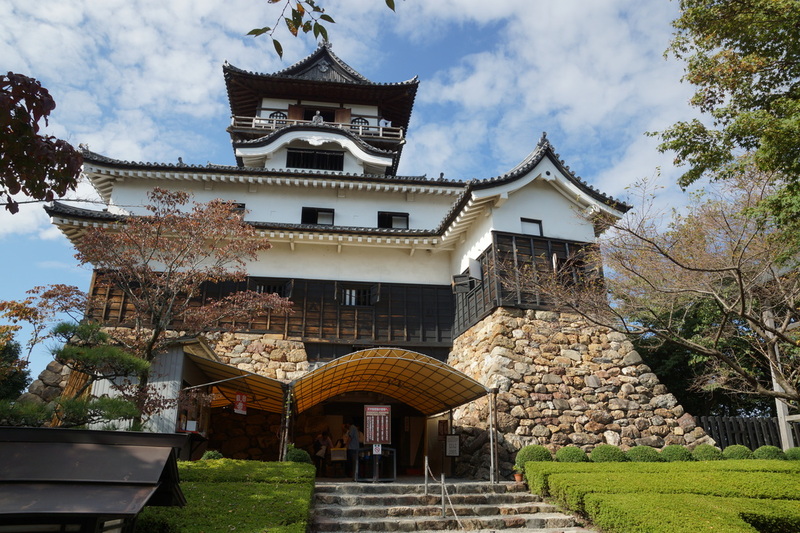 and lots to see – well worth a mini city break if Easyjet or Ryanair go there. Not only is there the aquaduct and the old city but there is the Alcazar of Segovia wich is a royal palace built in the 12th century. The Cathedral is the last gothic cathedral to be built in Spain.It is a popular tourist destination and there are lots of cafes and gift shops but despite this an interesting town to visit. 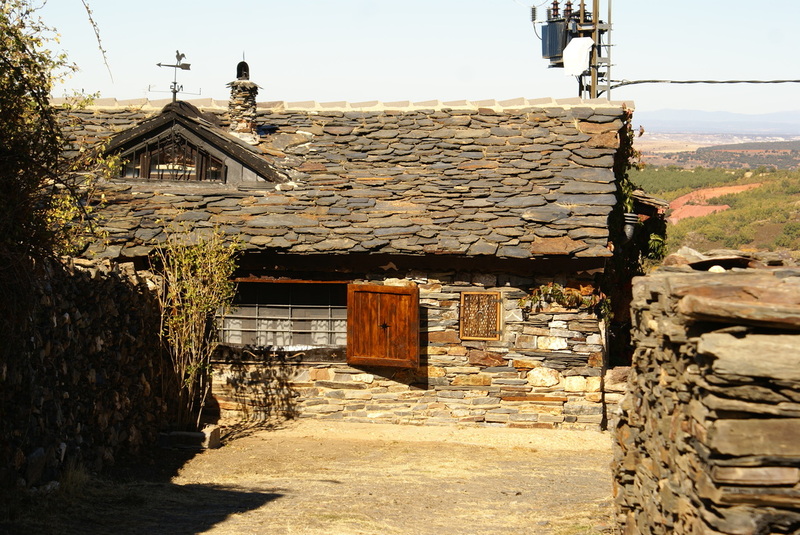 In the hills behind Riaza you come to some rustic villages built out of local material, red stone or black stone, thus the red villages and the black villages. Our tiny scooter took us up these hills ( very slowly) and we were able to vist these backwaters which had only relatively recently been connected to mains water and drainage so many of the buildings were still very rustic. 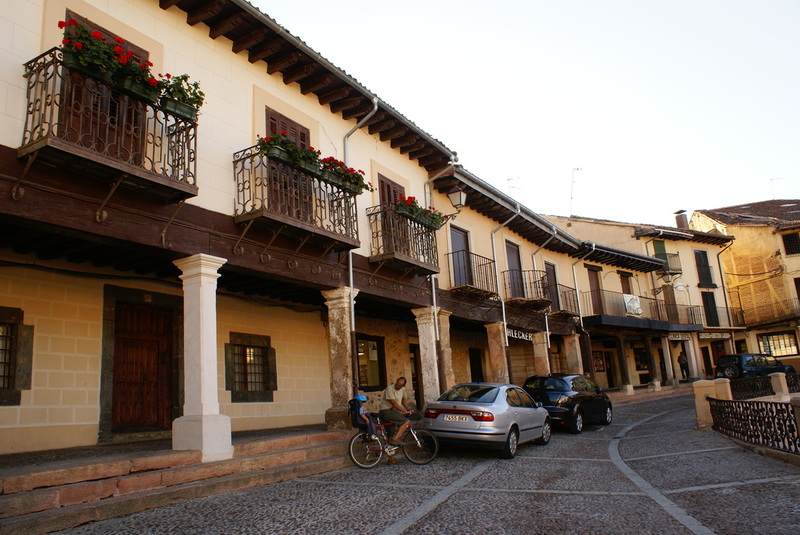 The first of these was Madriguera a "red" village with a fine "coat of many colours" church (unfortunately locked) and rock solid houses many of which had clearly been modernised for weekenders. 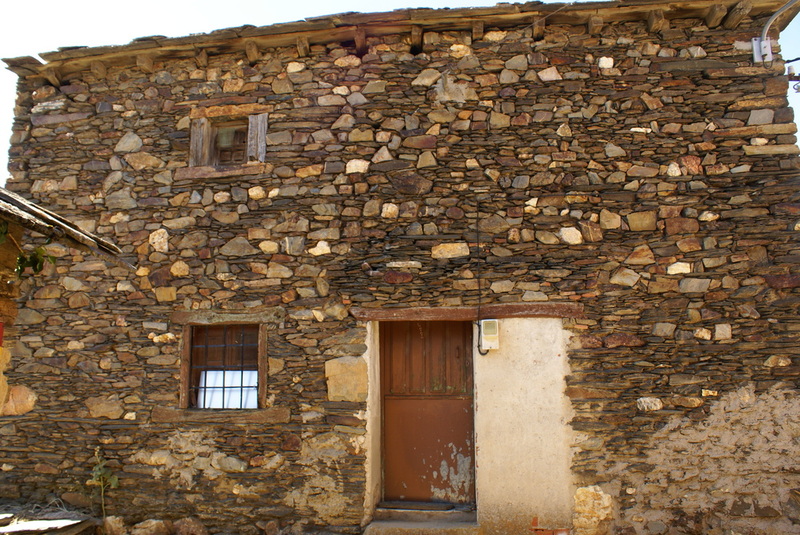 We then went further up the mountains to Santibane de Aylon where the same process of gentrification was in progress but which still had some very fine wrecked buildings and some excellent examples of the traditional building style. 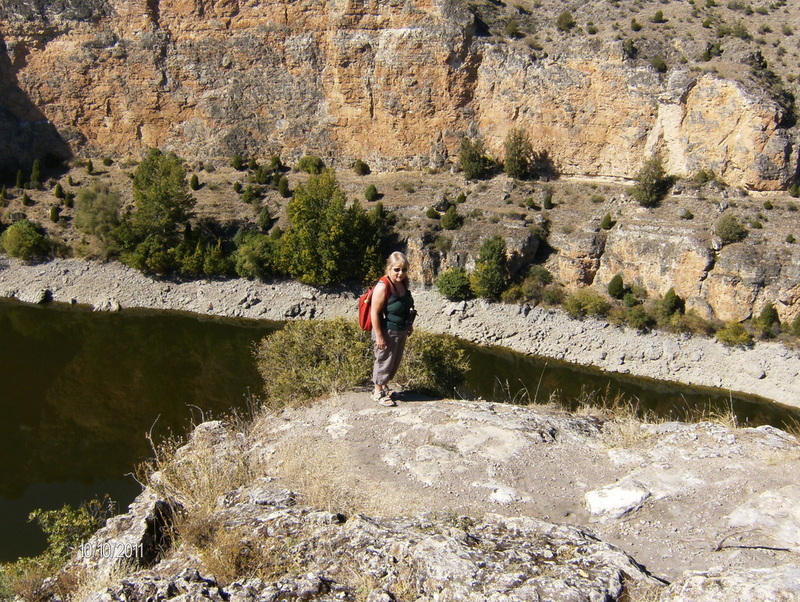 We then backtracked to El Negrada where Sheila had spotted a restaurant. We had a three courses for 10 euro each plus a couple of small bers and two coffees - a bargain. And we got to watch an old black and white western on TV (all small bars and cafes in Spain and Portugal must have at least one telly , we think it must be part of the licensing laws). This film was very very old and had Anne Bancroft in as a young gel. The only other customers were some workmen on their lunch break. After lunch we headed for El Muyo, a black village with a church and some nicely shagged out houses and plenty of abandoned houses, but also some beautifully restored houses. There was a plaque on the wall marking the arrival of mains water and drainage in 1991, until then they had to use the village pump. 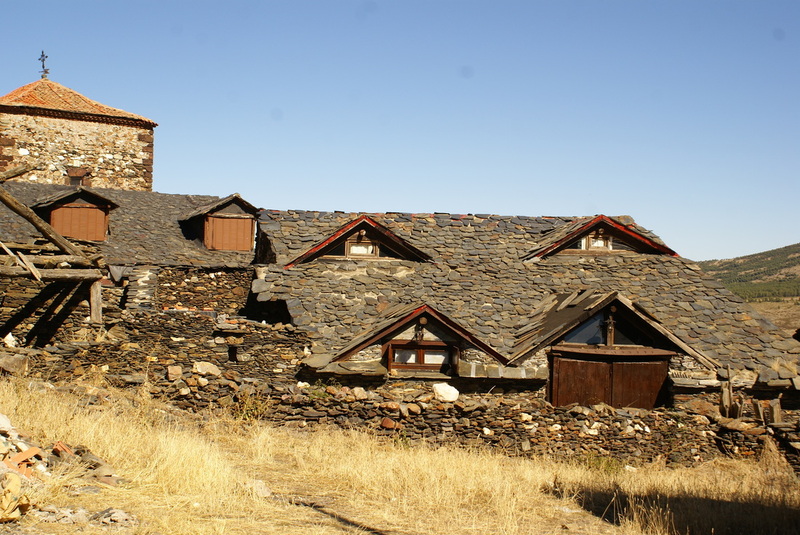 El Muyo - a black village. 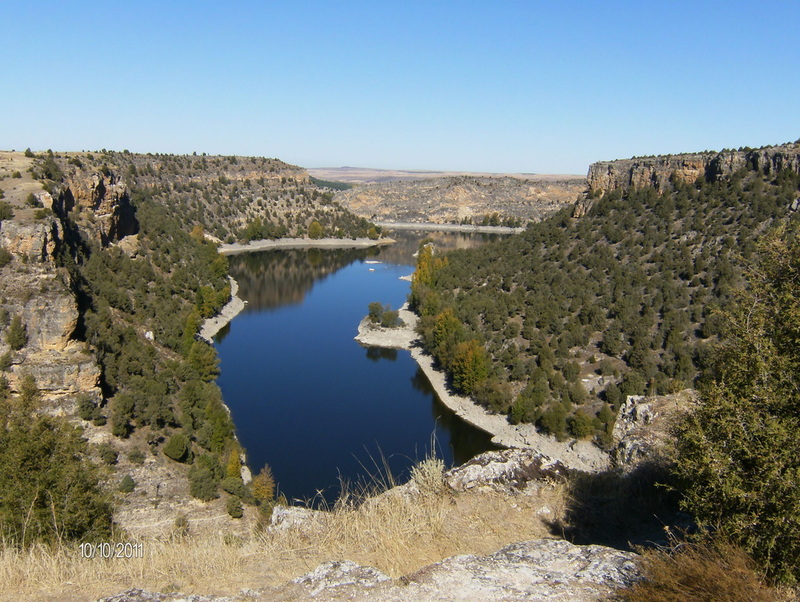 We took the advice of the man at reception and took the van to Hoces del Duraton national Park and the Ermita de San Frutos. It was a national holiday so there were lots of locals there despite the last few kilometres being along a fairly battered gravel road. This also meant it was a lot noisier than usual. 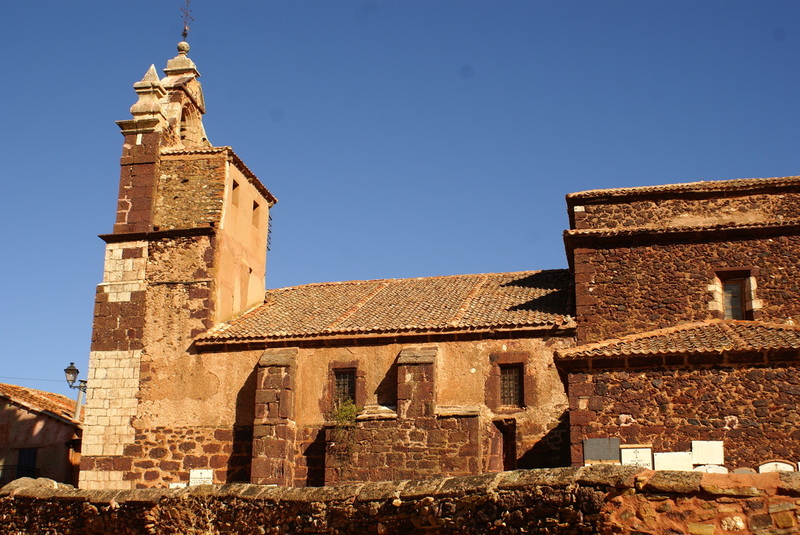 As well as visiting the old ermita you could go hiking in the surrounding area, although a bit hot for that when we were there, and not an ice cream van in site. The Ermita is nicely protected on a steep headland on a bend in the Duraton River where dozens of Griffon Vultures flew overhead and Choughs played along the cliffs. There were also a few men fishing but all the (very big) fish were basking in the shade around the corner. Excellent scenery and fine birdwatching, but very warm, every drop of shade was occupied and we had to shelter behind a small bush to eat our picnic. We just wished that we had brought our kayak, there were several going through the gorge and we were rather envious.